Vinyl 12″, Insert – Ltd. Ed. 500 ex. 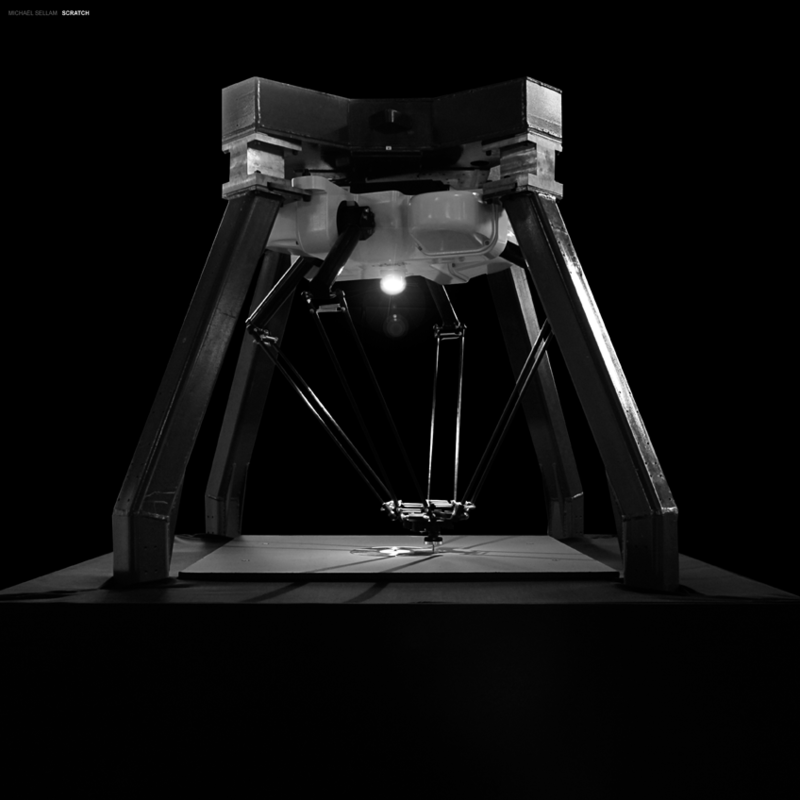 SCRATCH is a sound installation for which the fastest industrial robot in the world has been modified to scratch the surface of a vinyl record placed on a table. The monster machine, capabale of manipulating up to 240 pieces per minute is equipped with a reading head specialized for amplifying the sound that is produced by the frenetic attacks of the metal on the record. The dynamic force of the robot’s arms is impossible to follow with the naked eye. The varied and surgically precise positions and accelerations are orchestrated by a computer program specially designed for the project. The raw noise is massively distributed in the exhibition space until the moment when the robot detaches itself from the surface of the vinyl to prepare for a new cycle by practicing a series of extremely fast, circular warmup movements. Pausing only momentarily to allow for a space for silence, the sonic residue of the hypnotic hyperactivity of the robot quickly fills the space again. 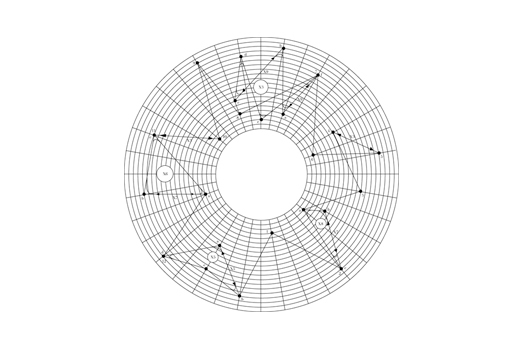 The heavy pressure caused by the movements of the metallic point on the surface of the record produce a series of erosion lines and remove some surface material along these markings. The mutations and transformations of these objects are direct and unique results from the work sequence, raw traces of the performance. The choice of the record remains free and arbitrary and like a sportsman at the end of his career, it is not replaced until it reaches its rupture point, its saturation. 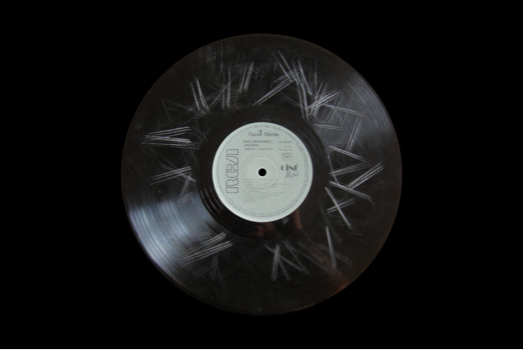 SCRATCH is a sonic composition of 7 minutes and 22 seconds in duration, made up of recordings of the activity of the robot on vinyl records and their reading on a regular record player. The two sonic states of a same object creates a third state. 12″ LP + Insert – limited 500ex.